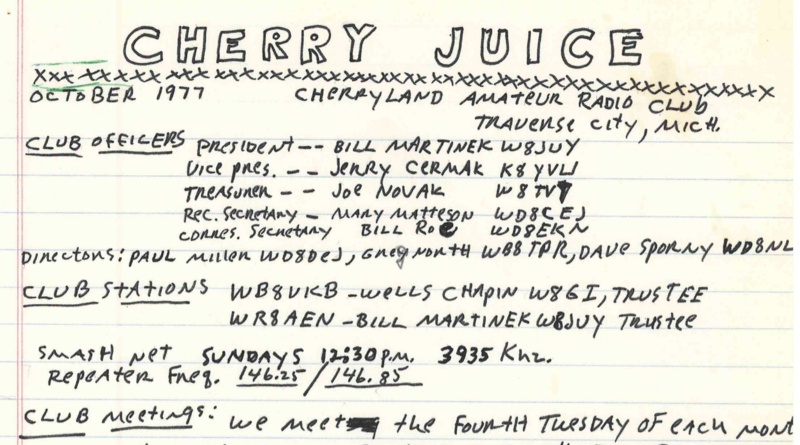 The Cherryland Amateur Radio Club (CARC) Newsletter is called “The Cherry Juice” and bas been published since soon after the formation of the club in the early 1970s. Archives of almost all of the issues reaching back to 1974 are available here online, with only a few missing editions. We are adding scanned copies of newsletters all the time. If you find some missing and can scan/send us a PDF, we can upload them to this archive and complete the collection. April 2019 Newsletter “The Cherry Juice” now available! January Newsletter “The Cherry Juice” now available!